It was a lovely summer’s day with friends and family present. There was good food, wine, dancing, singing, emotional speeches, laughter, tears (I didn’t think it was possible to cry so much and be so happy at the same time), photographs, hugging and love. Lots and lots of love. 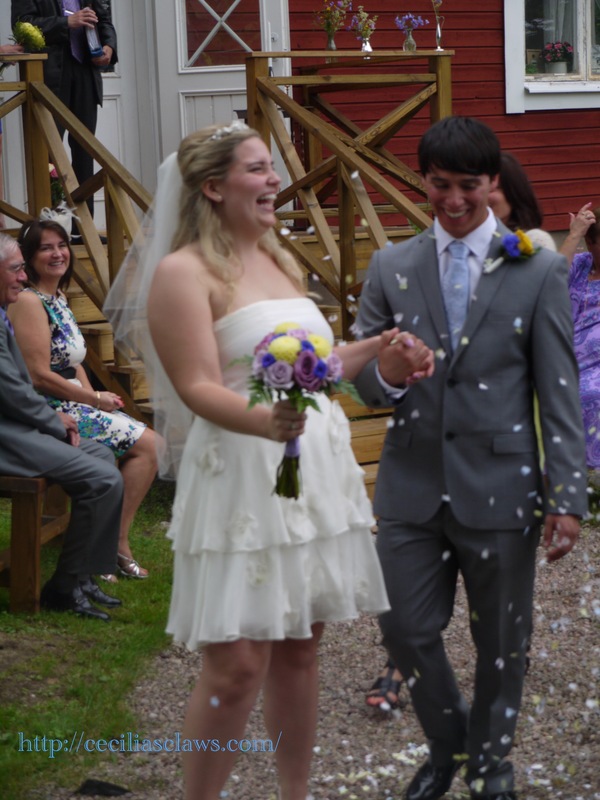 My groom and I walking ‘in’ – our wedding was held outside in a garden. 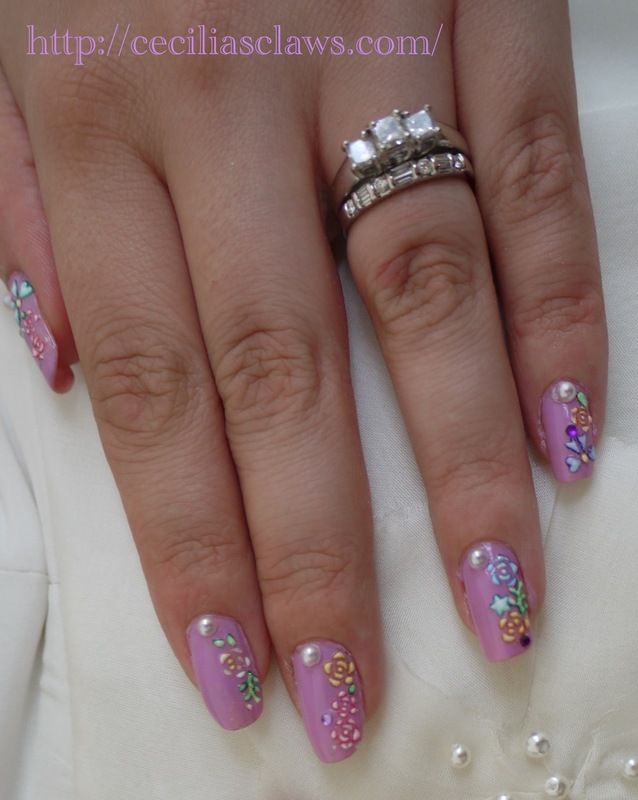 I chose to emphasise the pearl detail in my dress with pearl rhinestones on my nails. The colour is Barry M Berry Ice Cream, with colourful flower nail art stickers as well. 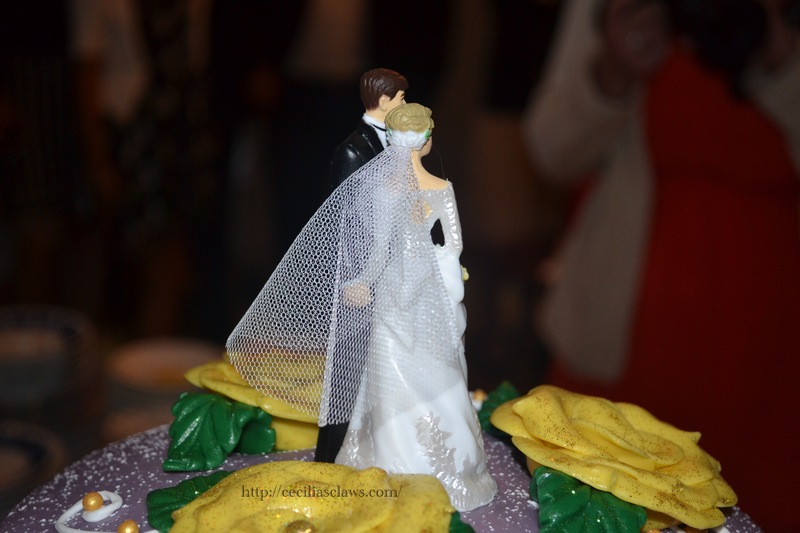 Delicious cake, we had Princess cake – a traditional wedding cake in Sweden.